Have you been toying with the idea of getting a dog but not sure how it would fit into family life? We’ve all heard the reports that owning a pet can do wonders for your mental health but in reality, it is a big decision to make, especially if you have children which already take up a lot of your time and attention. Dogs for Good exist to help families make such an important decision. You may have already seen how much your autistic child loves dogs or is happiest when they are around them and you just want to feel sure that taking such a big step and getting a family dog will benefit everyone in the future. 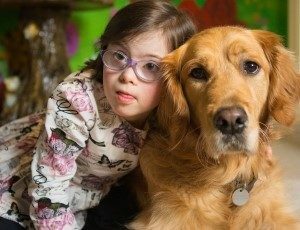 Dogs for Good offer Family Dog workshops which provide parents of children with autism with the advice and long-term support needed for choosing and training a dog to benefit the whole family. Workshops are open to parents of children aged between 3-16 years, with a clinical diagnosis of autism and take place nationwide. Consisting of 3 workshops in total, the sessions use a combination of practical demonstrations with workshop dogs, discussions, hands-on learning and course handouts. There are workshop dogs who have been specifically selected for helping parents develop their skills for training their own pet dog. Including Widget the Cocker Spaniel, Fidget the Labrador X Collie and Siren the Labrador, there are dogs of different sizes, shapes, age and character. Could the workshops work for your family? Take a look at the locations workshops are being held at during 2019 and also register your interest and confirm your eligibility by completing an online form. In partnership with The National Autistic Society and the University of Lincoln, Dogs for Good completed a three-year research project investigating why dogs can positively affect children with autism and the impact on the family as a whole. The research found that owning a pet dog reduced stress in parents of children with autism and brought life-changing benefits to the whole family. The research is available to read online. The Family Dog service is different from the Autism Assistance Dogs service, which is also offered by Dogs for Good. An autism assistance dog is trained by Dogs for Good to give parents and children real independence. Each dog is trained to work in a special harness that connects it to both parent and child. The dog is trained to lead from the front, acting on instructions from the parent while the child is encouraged to walk alongside the dog using a lead attached to it. This offers greater independence to the child and parent, whilst ensuring the child is safe and unable to ‘bolt’ if they become stressed or anxious. ‘Bolting’ behaviour is also combated by training the assistance dog to automatically sit should the child attempt to run off. The dog also provides a consistent anchor for the child so they feel more secure in unfamiliar environments. Whilst there is no cost to families for acquiring an assistance dog from Dogs for Good, there would be ongoing costs to keep and look after it once it becomes a member of your family. Things such as food, vaccinations, toys and bedding, worming treatments and insurance can all add up and it is important to consider how having a dog may impact your financial situation in the future. If you think you may find it difficult to keep up with the cost of owning a dog in the future, speak to Dogs for Good as there may be ways they can help you. The support doesn’t just stop once you have attended your final workshop; ongoing support is available to families that qualify, including telephone support online resources and access to a private Facebook group.